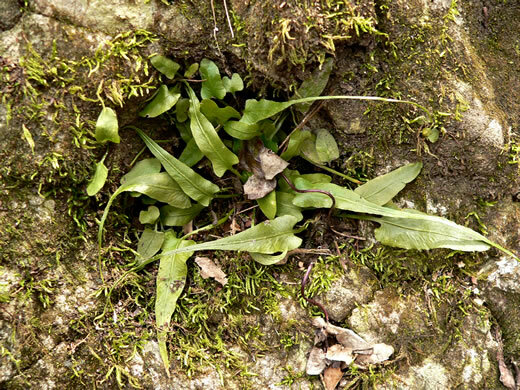 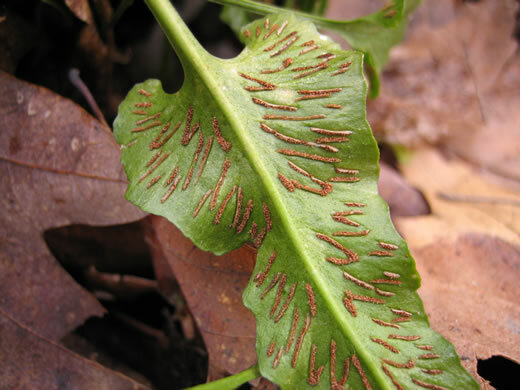 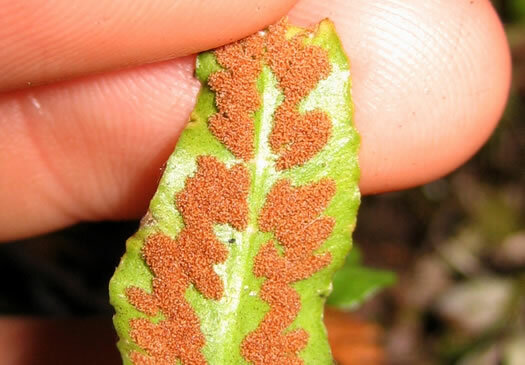 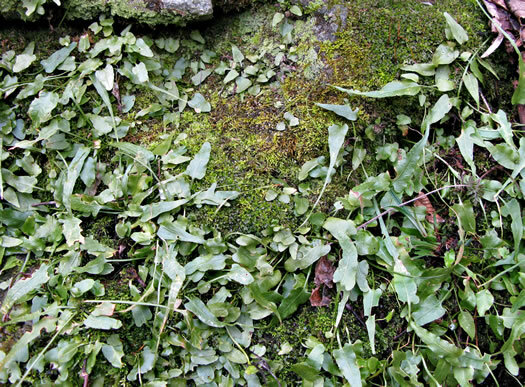 Sori scattered irregularly throughout blade at vein junctures, per Peterson Field Guide to Ferns of Northeastern and Central North America. 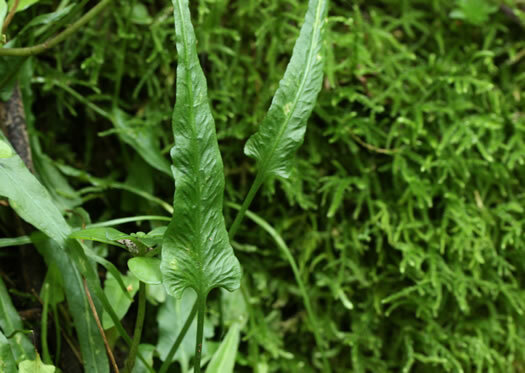 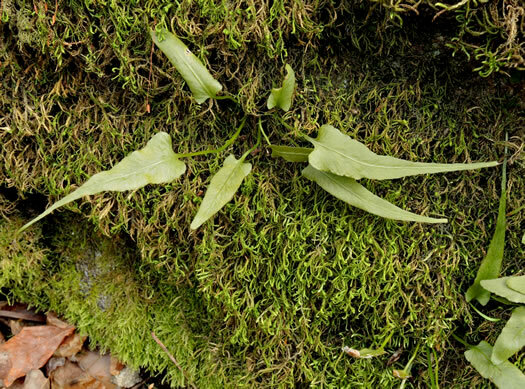 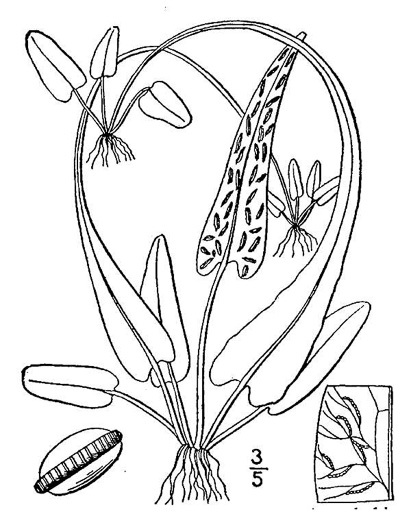 Blade usually heart-shaped or somewhat eared at base, per Peterson Field Guide to Ferns of Northeastern and Central North America. 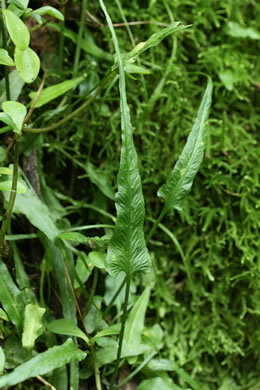 Fronds narrowly linear-deltoid with long fine tip. 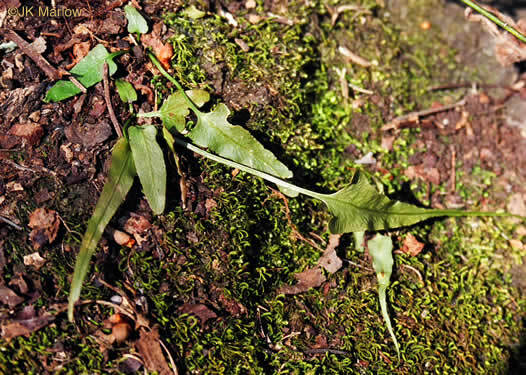 Tips touch ground & root, per Field Guide to the Ferns and Other Pteridophytes of Georgia.